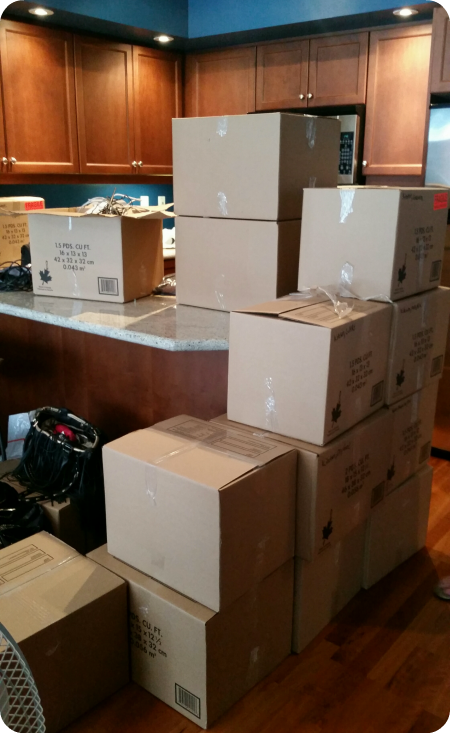 As you might know – I moved recently. After 7.5 years living at Queen and Spadina, an opportunity arose to move to a much nicer, larger apartment – and after a lot of hesitation and fear of leaving what had turned into my first real home – I took it. I am now comfortably settled into that new, much larger apartment (for the first time since I moved out of my parents house at 18 I have ensuite laundry, a dishwasher and proper air conditioning!). But I couldn’t have made this move happen without the help of a reliable Toronto moving company. My last apartment was a 3rd floor walk up, and after 7+ years, I had acquired quite a few things. Summer is also my busiest time of year by far, so having time to pack up that many things just wasn’t going to happen on my own. 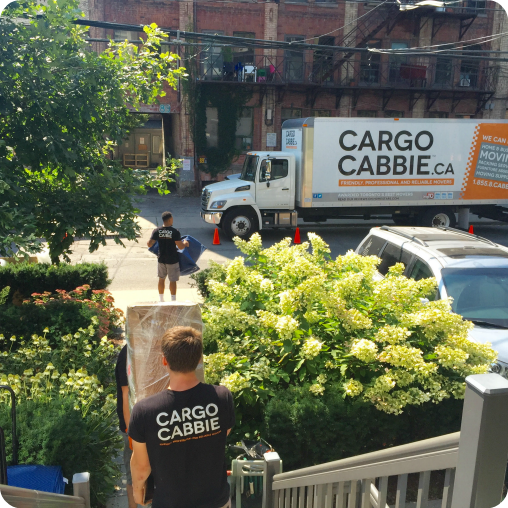 I hired Cargo Cabbie to help me pack and move because I had read great things about them, and they were consistently rated the best movers in Toronto on Homestars. They were very booked up for the September 1st date of my move (easily the busiest time of year for movers), but managed to fit me into their schedule, thankfully. I wasn’t sure what to expect, as this was my first time ever dealing with movers, and had heard quite a few horror stories from people in the past (never hire a mover from Craigslist if you value your property). I found Cargo Cabbie’s customer service not only friendly, but efficient, thorough, helpful and very quick to respond. Not once was I left waiting more than a day for an email response, and there was always someone knowledgeable and helpful available on the phone to answer any of my questions during working hours. The process for getting an estimate was simple – I took photos of my apartment (including inside the closets and cupboards) and emailed them over – and they were able to give me a very thorough and detailed estimate that ended up being quite accurate in the end. 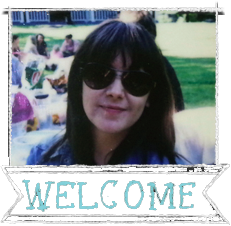 I’ll admit I was particularly nervous about the pack, as it seemed very odd to have someone you don’t know go through all your things and pack up your life. On the day of the pack, the team of two arrived on time, introduced themselves, asked me to take them through my apartment and what I needed packed, and returned with all the supplies they needed. The best part about using their packing service is, not only do you save the time packing – you don’t have to get a car and try to find boxes and buy all that bubble wrap, tape and packing paper – they bring everything you need. Also, they are professionals – so they know exactly how to pack so that your things don’t end up broken. Care was taken to ensure anything I owned that contained liquids/powder was wrapped in plastic wrap and packing paper to ensure leaks were impossible. I have so many little things like lipstick and eye shadow that I was surprised they were able to get my entire life packed up that thoroughly in the span of just six hours. All my framed art was also carefully wrapped in bubble wrap and covered in large long doubled up boxes to ensure the glass wouldn’t get scratched or smashed. During the pack, Javier, the owner, stopped by to ensure everything was moving smoothly and that I was happy with the service. In the end, I had 53 boxes worth of things! I was shocked to find out that I had somehow accumulated that much stuff over the years, in my tiny one bedroom apartment. On moving day, they were running about 5 minutes late due to traffic issues, but called ahead to let me know. The team of four was able to get everything into the moving truck in 1.5 hours, which was great timing considering they were also taking down my shelves and curtain at this time. They bring all the tools needed to take your furniture apart – so you really don’t need to worry about anything. Once we got to the new apartment, they had everything up and in my new space within an hour. It all happened so fast. I was impressed not only with their efficiency and speed, but with how friendly they were – and how helpful they were in helping place the new furniture, and unwrap/unbox anything I needed help with. Once the move was complete, Javier asked me if there was anything else I needed help with or wanted moved around, and if I was happy with everything. It was great to know I had hired a company that cared so much about how everything went, and wanted to make sure I was 100 percent satisfied with everything before they left. I am happy to report none of my items were damaged – but I also know that if something had been, they offer coverage for up to $20,000 worth of property, and a form is available right on their website to fill out so you can quickly get your item replaced. I felt great knowing that on the off chance something did break (which is to be expected during a move) I would have easily been able to get the value reimbursed. 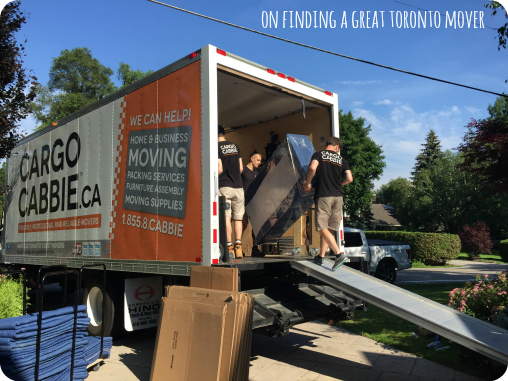 I now understand exactly why they are so well known as being the best movers in Toronto. Their reputation has developed and maintained itself over the years because they care about customer service, the team is friendly, the move is effecient, and they ensure nothing gets damaged in the move. 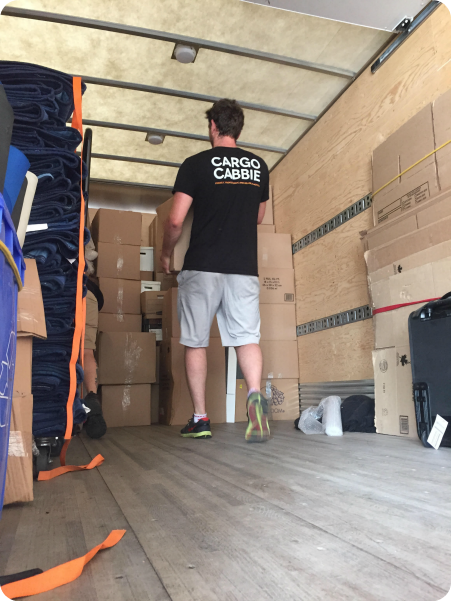 If you’re looking for a reliable moving company in Toronto, I highly recommend calling Cargo Cabbie.